Rear Wheel Performance as of June 2004, prior to project engine. 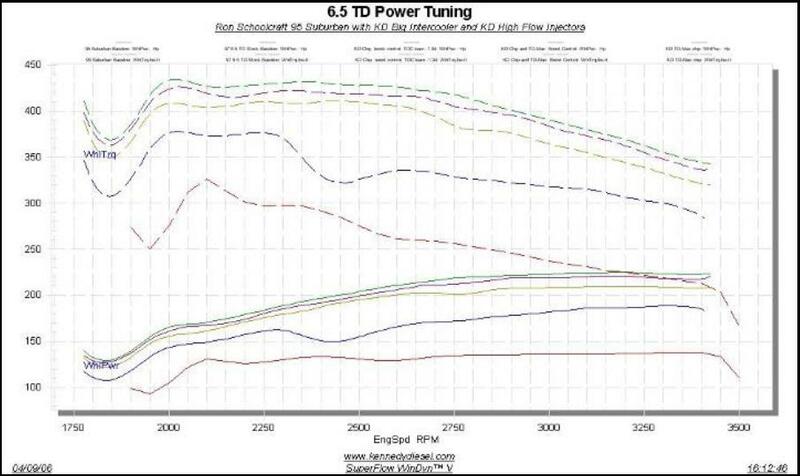 Ron’s Suburban has set a new record for 6.5 TD powered vehicles at The Diesel Page 2006 Pull-Off. The Pull-Off is a trailer towing contest that uses a 10,000 lb. utility trailer on a 6% grade. From a standing start, Ron’s Suburban reached 52 mph in 75 seconds. The previous record was 48 mph in 81 seconds. 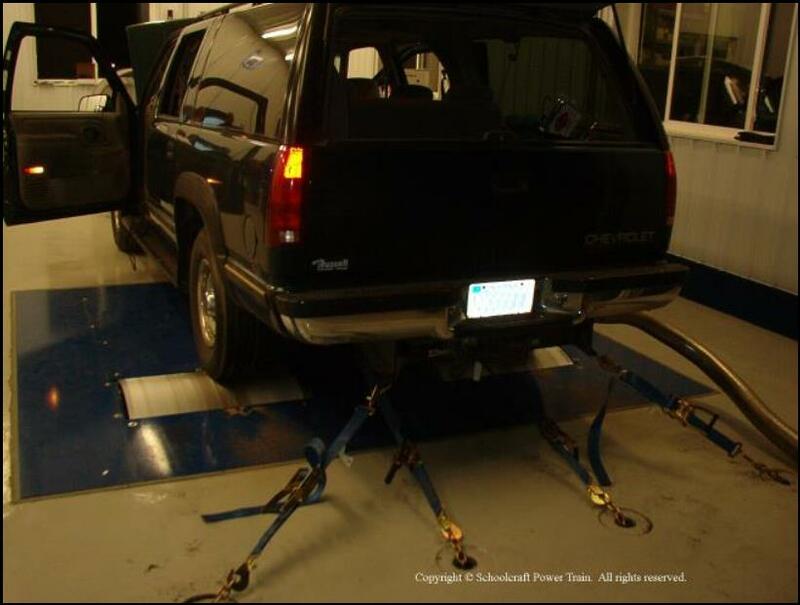 In July 2004 shortly after the dynamometer data presented below was collected, the Suburban reached 42 mph in 82 seconds on the hill.